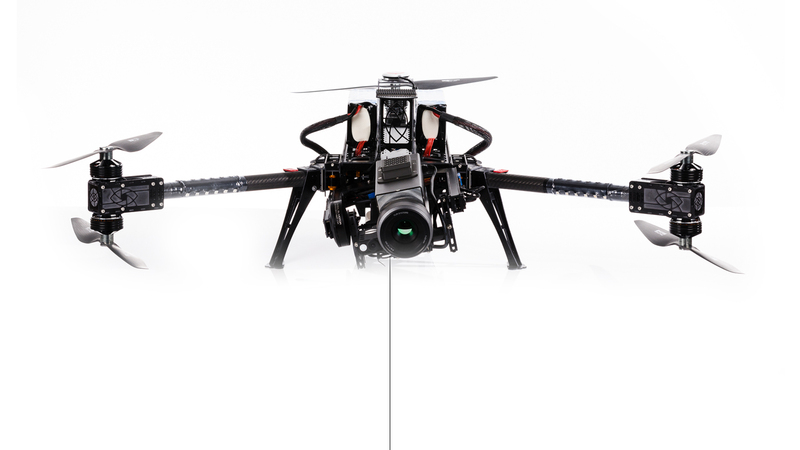 Designed for the most demanding missions, Safe-T has been approved for tethered flights by Franceâ€™s Civil Aviation Authority; the DGAC, and has been successfully deployed by governments, public services and industrial companies in over 30 countries. 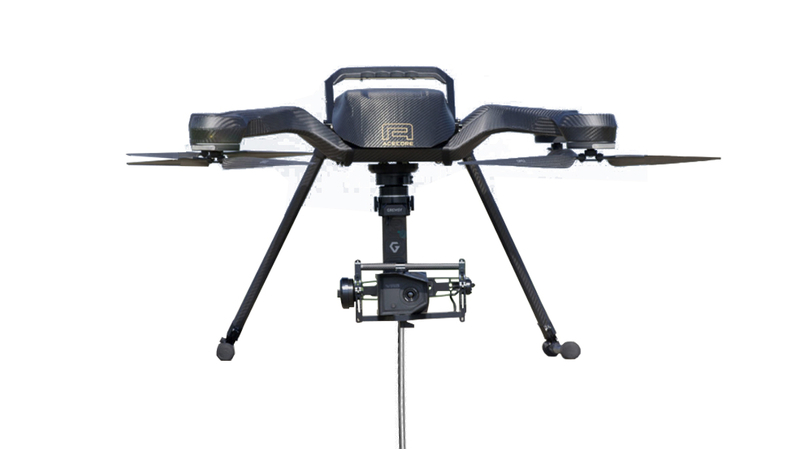 Compatible with all national power grids, Safe-T integrates Elistairs patented ultra-light micro-tether, providing a wide range of drones with continuous power. 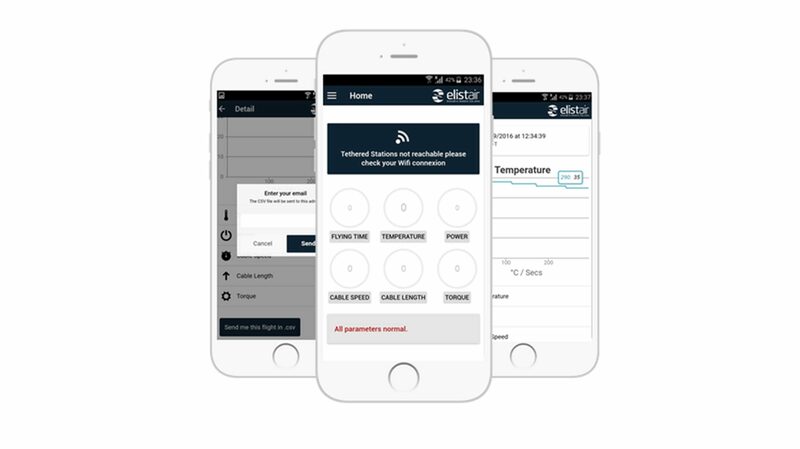 With its smart power management, safety features, and leading gram/watt ratio, Safe-T has thousands of hours of reliable flights logged around the globe. 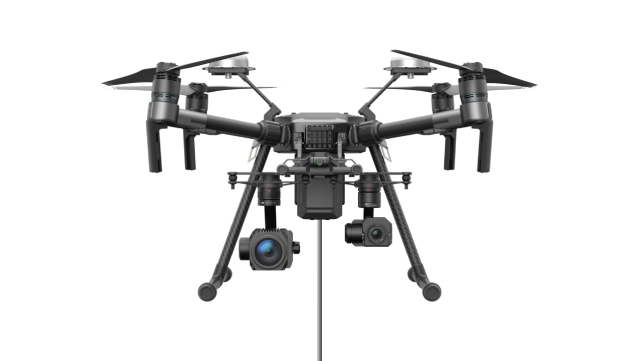 Our compact Air Module easily integrates with your drone enabling you to switch from tethered flight to battery flight if required. 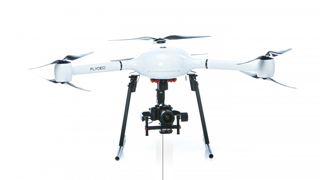 With its wide range of adaptation kits you can use your Safe-T with various drones of your fleet. 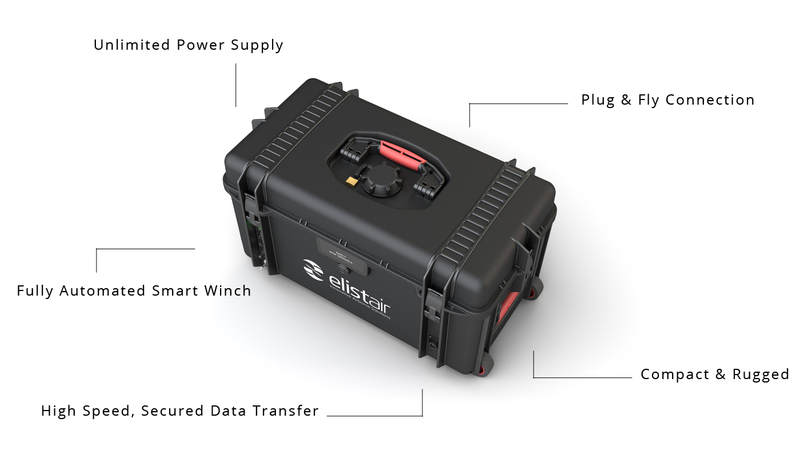 Secured by an UPS safety battery, the Safe-T micro-tether is armored with kevlar to withstand over 1500 Newtons of traction, and provides an unbreakable and unjammable data transfer at up to 200Mb/s. Integrated with various sensors, the Safe-T is continuously self-checking its status and uses fail-safe procedures in case of anomalies. 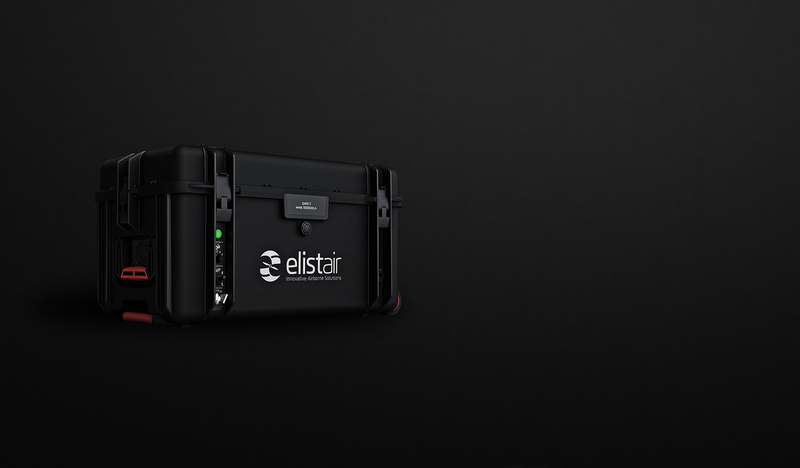 An embedded WIFI module streams the system status to Elistair T-Monitor application, allowing the operator to monitor its operations from a tablet or PC. 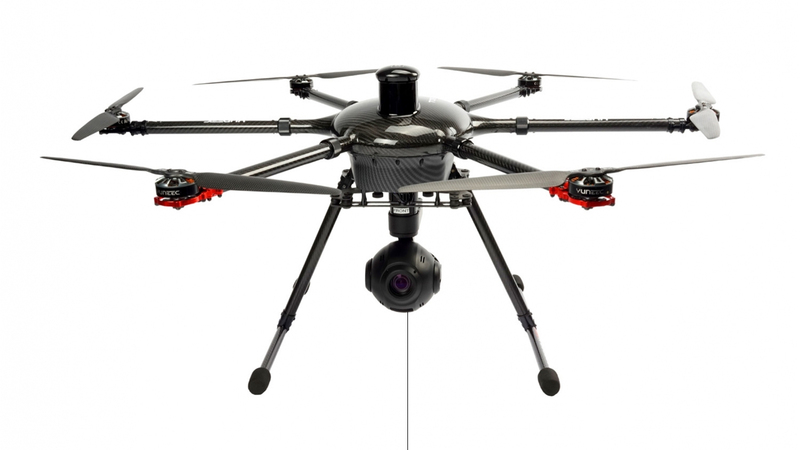 The system allows for safer missions in complex scenarios, provides increasedÂ protection of surrounding equipment and people, and has been certified to be in compliance with Civil Aviation laws. Globally deployed by end-users since 2014 , Safe-T is truly field-proven. We have worked hard to make this powerful tool ruggedized, compact, easy to use and quick to deploy in the field by a single operator. The system is designed to be easily and securely transported. 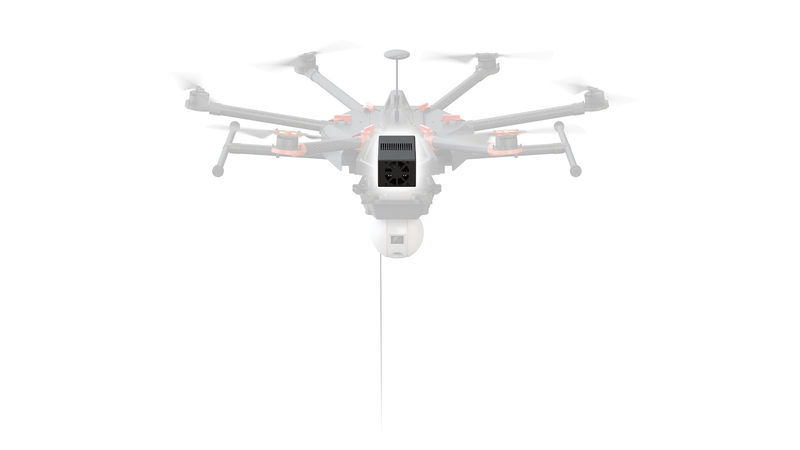 Safe-T incorporates a proprietary software, with fine-tuned control laws limiting the impact of the micro-tether on the drone flight and preventing entanglements or wear on the cable. Download our brochure to get Safe-T specifications, option details, and request our pricelist. 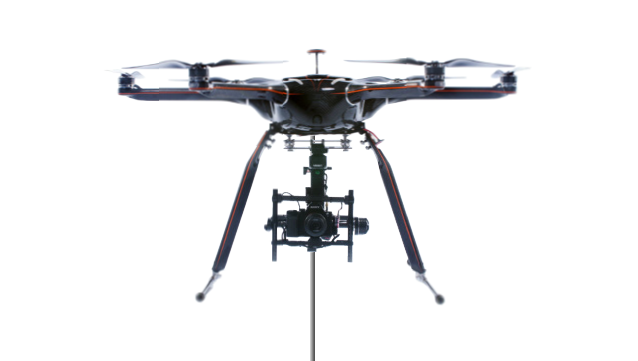 Safe-T is a powerful tool, enabling drone operators to widen their perspectives by bringing unlimited autonomy, safety and real-time high resolution data transfer.